Today, Videology, a leading software provider for converged TV and video advertising solutions, released the latest installment of their educational series, ‘Knowledge Labs.’ In this installment, Videology focuses on the advanced TV ecosystem—providing a deeper understanding of the new players emerging as the process for planning and buying TV advertising expands to a complex web of technology providers, content aggregators and data providers, as well as buyers and sellers of media. Data-enabled TV: the ability to overlay data segments on traditional linear TV to more effectively deliver ads to the desired strategic target. Addressable TV: the ability to achieve one-to-one targeting at the household level. The piece begins with the primary roles in the ecosystem on both the supply and demand side, including advertisers, agencies, DSPs, media owners, MVPDs, SSPs, aggregator networks and data and measurement providers. 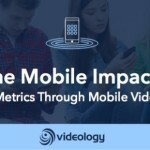 In addition to defining these categories, Videology looks at the changes each role has undergone in the journey to advanced advertising solutions. To further educate readers, the Knowledge Lab offers a graphic representation of data’s role in different TV buying models and explains three frequently-used approaches to executing linear TV advertising campaigns: the traditional buying/selling approach, the data-enabled TV buying/selling approach, and the addressable TV buying/selling approach. Readers can take actionable knowledge from the piece by reviewing the top considerations for choosing a buying scenario focused on media objectives, inventory types and workflow management. Read Videology’s full knowledge lab on the Advanced Linear TV Ecosystem here. Videology Knowledge Labs are published on a monthly basis. Through straightforward overviews, Videology Knowledge Labs provide definitions, data, and explanations of complicated subjects, to bring simplicity and clarity to an otherwise complicated industry. Knowledge Labs are part of the company’s broader ‘Videology Labs’ initiative, which was announced in March of 2016. The homepage for Videology Knowledge Lab is here: http://www.videologygroup.com/labs.